If you're at all familiar with the three-panel, curved-screen Cinerama format and its first five travelogues released between 1952 and 1958 (This is Cinerama, Cinerama Holiday, Seven Wonders of the World, Search for Paradise, and South Seas Adventure), 1962's The Best of Cinerama is exactly what you'd expect. Essentially conceived as a "greatest hits" compilation to tide audiences over until The Wonderful World of the Brothers Grimm and How the West Was Won were completed, it exceeded revenue expectations and proved to be one of the format's most memorable and enduring productions. 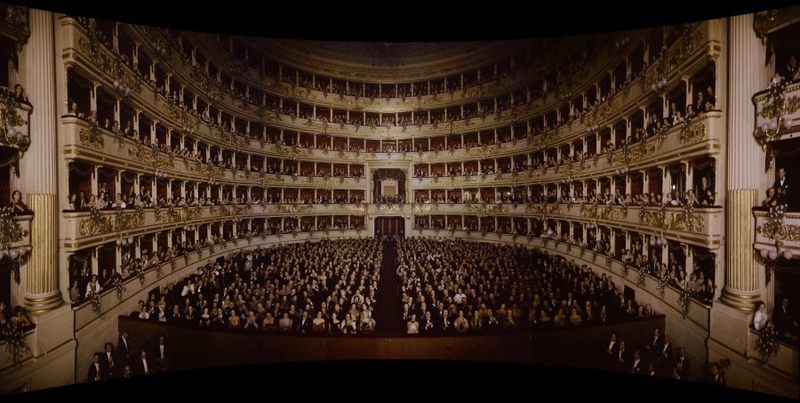 Comprised of 32 short sequences from all five previous travelogues (along with a brand new overture, intermission, seven-channel soundtrack, and narration by producer Lowell Thomas), the 143-minute Best of Cinerama is as much a remix of existing material as it is a great entry point for new fans. Flicker Alley's new Blu-ray of The Best of Cinerama, likewise, is something of a remix as well. No original negative was created for the film during its production; release prints were assembled from existing prints of the five travelogues, which were already worn thin by the early 1960s and deteriorated even more during the next 50 years. As such, this warranted more of a total reconstruction than a standard restoration. Luckily, specialist Dave Strohmaier treated The Best of Cinerama with great care, matching up already-restored clips from the first five films in their correct order using a guide created by original editor Norman Karlin. One extra step needed to be taken, however: This is Cinerama's original Blu-ray was created from a dupe instead of the original camera negative due to budget constraints (our own Adam Tyner explains it more clearly in his review), but that's been corrected here. 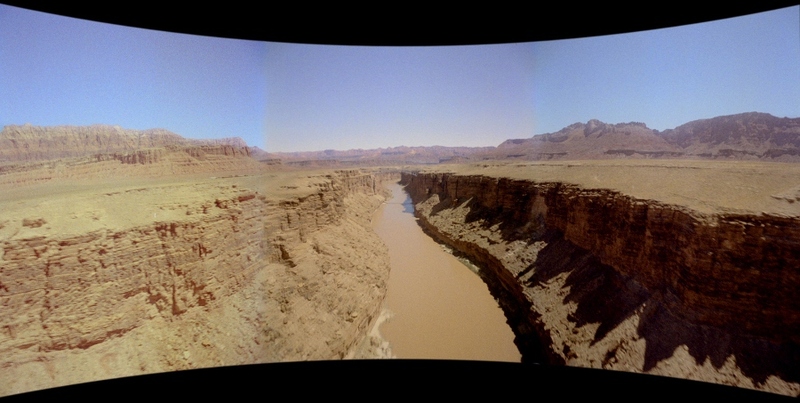 Going back to the negative and restoring it frame-by-frame, the eight sequences from This is Cinerama featured here now match the quality of the others. More good news: film historian John H. Mitchell contributed a surviving copy of the seven-channel soundtrack from a former Cinerama Theater in his home country of Australia, ensuring it sounds as good as it looks. But in the end, this sparkling Blu-ray package for The Best of Cinerama will only appeal to three types of fans: curious newcomers who haven't yet purchased any of the first five travelogues, older devotees with fond memories of this 1962 compilation, or rabid fans of This is Cinerama who are eager to see the newly-restored bits (a total restoration of that title is reportedly on Strohmaier's radar, but not anytime soon). It's a good enough show that plays even better if you've seen less than half of the originals...and even at more than 140 minutes, the majority of sequences make good use of Cinerama's three-panel format and seven-channel sound. 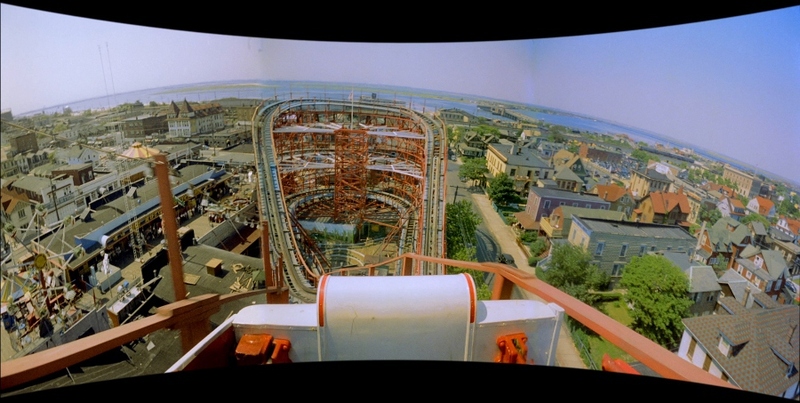 The first-person rides and aerial footage hold up particularly well and, amongst other highlights, make The Best of Cinerama and its source footage one of the best-kept secrets in high definition home video. Flicker Alley's Blu-ray (which also includes a DVD that few people will use) offers a superb A/V presentation, great packaging, and a broad assortment of quality extras. As with past Flicker Alley Cinerama Blu-rays, The Best of Cinerama's brand new 1080p transfer is presented in a "Smilebox" curved screen simulation that replicates original theatrical showings (not sure how this looks on a curved 4K HDTV, though). As mentioned earlier, the film has been digitally remastered from original camera negatives with an all-new restoration of scenes from This Is Cinerama and boasts an incredible level of detail and texture, from long aerial shots to stunning close-ups. Colors and depth are also quite good at times, although there's a noticeable drop in consistency during a handful of dimly-lit indoor sequences. Also unavoidable are occasional imperfections between the three panels (slight distortion, a few visible seams, and/or occasional color shifts), which is somewhat distracting but completely forgivable under the circumstances. This easily looks as good as the studio's best Cinerama Blu-rays released thus far, and the added bonus of restored This Is Cinerama footage makes it even more impressive. Though leaps in restoration technology might render this transfer outdated in another few years, the fact that films like The Best of Cinerama can look this good on Blu-ray is great news for die-hard fans and newcomers alike. Also quite impressive is the default DTS-HD 5.1 Master Audio track (a lossless stereo track is included as well), which replicates The Best of Cinerama's original seven-channel mix extremely well. Film historian John H. Mitchell was able to contribute a copy of the original mix in 2015, and a detailed continuity breakdown of the film was located to ensure a perfect match. So, like the video presentation, this is more of a reconstruction than a standard port of existing materials and The Best of Cinerama is all the better for it. Dialogue, music, and sound effects are uniformly crisp and clear, with strong channel separation at times and an extremely wide presence that often matches the visuals in scope. The stereo track might be of use to those with more modest setups, but the full surround mix will be the only one I revisit. Optional English subtitles are included during the main feature only. Flicker Alley's Blu-ray and DVD include similar menu interfaces with smartly organized content and quick loading time with minimal distractions. This two-disc release arrives in a Criterion-style "stocky" keepcase with overlapping disc hubs, a nicely-designed Booklet that replicates the original Cinerama program book, and attractive two-sided artwork similar to their past releases. Plenty of great content here, although extras marked with a star (*) are exclusive to the Blu-ray disc only. First up is a feature-length Audio Commentary with Cinerama historian David Coles, who begins speaking after the overture and Lowell Thomas introduction. His scene-specific topics of discussion include location shooting, technical hurdles, the film's 1962 opening in New York, choosing subject matter for the compilation, correcting a few factual errors, Disney's America the Beautiful, using deleted footage for later Cinerama films, location history and trivia, the effects of a sonic boom, the "brand new" state of Hawaii, and more. Also here are four bonus Cinerama Shorts, mostly from the 1960s. Shellarama (1965, 15 minutes) is a Shell-produced documentary that follows the journey of Shell oil from raw source to refined fuel; it was shot in Super-Technirama and released on 70mm. Bridge to Space (1968, 28 minutes) is a 70mm short documentary shot on Merritt Island and at Cape Canaveral from a visitor's point of view. "The Rangerettes" (1955, 2 minutes) is actually a deleted scene from Seven Wonders of the World featuring Texas' Kilgore College Rangerettes. Finally, "Battleship Iowa Arrives in San Pedro" (2012, 3 minutes) is...well, exactly that. Kind of odd. Up next are three Retrospective & Historical Featurettes, several of which feature first-hand participants. "Reconstructing The Best of Cinerama" (15 minutes) is an informative restoration demonstration with Dave Strohmaier, who speaks about the painstaking process used to bring aging source material into the high-definition home video era; a handful of comparisons between the old and new This is Cinerama scenes are also included. 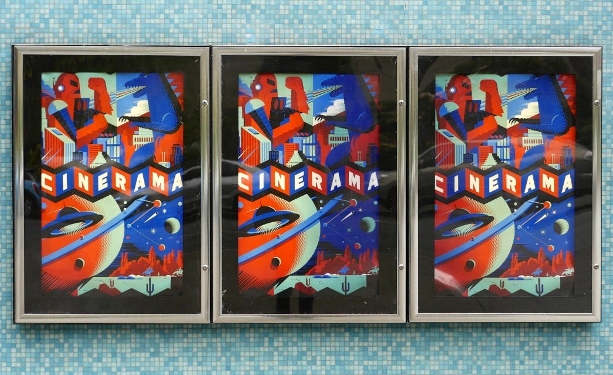 "Cinerama Troika*" (12 minutes) is an interview with Strohmaier, film archivist Randy Gitsch, and producer Tom March on location at the 2015 European Cinerama Festival Tour. 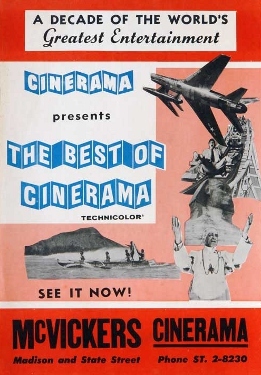 Finally, "Remembering The Best of Cinerama*" (22 minutes) is a mid-length interview with Cinerama editor Norman Karlin, who speaks candidly about his personal involvement with the format and first-run titles, as well as assembling The Best of Cinerama from the five travelogues. Three self-explanatory Slideshows are also here: "Who's Who in Cinerama History*" (21 minutes), "Show Places of the 1950s*" (40 minutes), and "Ads, Publicity, and Behind the Scenes*" (6 minutes), each paired with full music cues and annotations. Finally, the appropriately long Trailer (5 minutes) is likewise fully restored and presented in "Smilebox". No subtitles are included. Originally conceived as an accessible "greatest hits" compilation and delivered to theaters in 1962, the 143-minute Best of Cinerama doubles as an enjoyable sampler of This is Cinerama, Cinerama Holiday, Seven Wonders of the World, Search for Paradise, and South Seas Adventure. There's plenty of great material here: some of it makes terrific use of the format's considerable A/V breakthroughs, and other moments are just nice to have for history's sake. Still, The Best of Cinerama isn't a must-have on Blu-ray if you already own most or all of the five source films, even though the newly-restored footage from This is Cinerama and exclusive bonus features are a definite plus. Flicker Alley's combo pack also offers terrific lossless sound and detailed packaging that, without a doubt, equals or exceeds the tremendous level of effort poured into their other Cinerama titles thus far. Overall, this is one of the year's most impressive niche titles and comes Highly Recommended for established fans and curious newcomers alike.